There are several major theories within Traditional Chinese Medicine that explain how the human body works and provide ways to diagnose and treat illnesses. One of these theories views the human body as a pattern of interconnected energy pathways. The proper flow of energy through these “highways” regulates the different functions of the body. Therefore, proper energy flow is necessary for health and well-being. Much like what happens in our automobile highways when there is an accident, the disruption or stagnation of this energy flow creates problems. When energy does not flow as it should, pain or illness occurs as a symptom of this energy flow disruption. This theory also states that there are vital points along the body’s energy pathways that – when stimulated properly – can help regulate energy flow. Acupuncture is a technique developed to stimulate these vital points, thus releasing energy disruptions and regulating the flow of energy throughout the body. 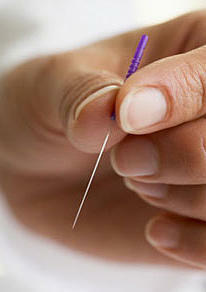 By inserting fine needles into key acupuncture points, acupuncturists are able to release the energy obstructions caused by various conditions. When energy flows freely, the body’s natural balance and its ability to heal itself are restored.